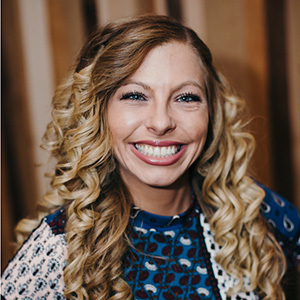 Megan Polidoro – Firefly Gastropub & Catering Co.
General Manager, Megan Polidoro, might be known to you for either her sunny smile or for her nightly presence at Firefly. It could also be that there is no task that she isn’t involved in. Almost 8 years ago, she walked through the doors, met Laura and became an instant staple at the restaurant. Megan began her restaurant career surprisingly over 20 years ago when she simultaneously began her undergraduate studies. She began working in every aspect of the restaurant business. From serving to bartending in many local restaurants, working in “the business” gave her the flexibility to excel during the completion of her Bachelor’s degree from MCLA. After a move to move to Florida, Megan began hosting, serving, bartending and eventually managing a number of high-end establishments. Upon returning back to the Berkshires to be with her family, she found a home here at Firefly and like the saying goes “the rest was history”. Megan was actively involved during the renovations at Firefly and although she recently became a Registered Nurse, her loyalty to Firefly has remained steadfast. Most who encounter the GM Megan, will remember her for not only her quirky sense of humor, quick wit (or her fashionable attire) but most importantly for her willingness to go out of her way for both her staff and the guests they take care of.